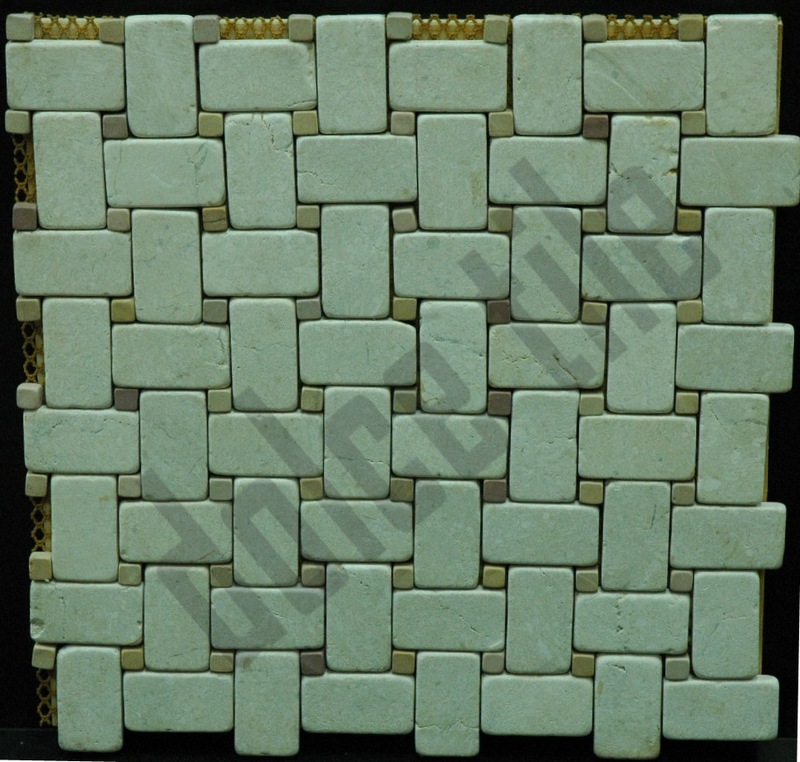 Type: Marble Mosaic tiles on 12x12 mesh. Color: Ligth Beige and yellow. Size: 1x2 brick tiles and 3/8x3/8 dots. Avaiable colors: Same design with black dots.